I just can't go to a DM drugstore without taking a shower gel with me. They renew their products like a chicken lays eggs. The prices are super affordable and the majority of their products are really good quality. 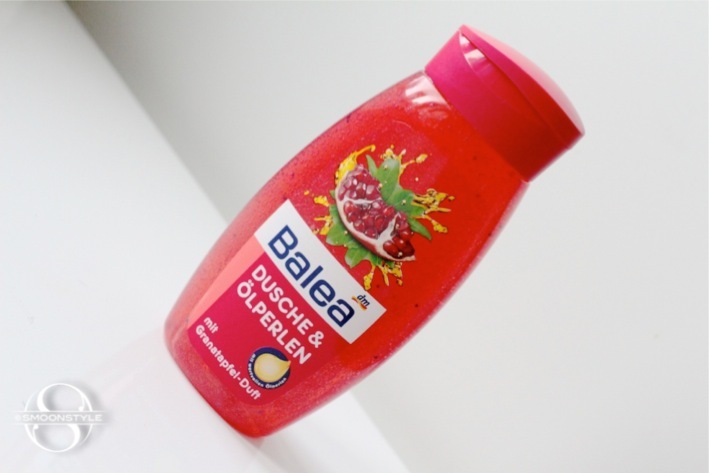 The newest Balea shower sensation is their Pomegranate Oil pearls shower gel. It smells divine! I love pomegranate. The fruit itself is so yummy, but peeling it takes forever. At least I can smell like one without taking too much time. I love the Balea oil pearl line, they feel so nice on the skin. Haven't seen this one in DMs around here yet, but I will definitely keep an eye out! I'm sure Arien can give you a hand as well! I feel exactly the same! I loooove DM so much, they have simply amazing products almost for free! I've bought three Balea shower gels recently, and I love their Professional Oil Repair balm, too, it smells fantastic!